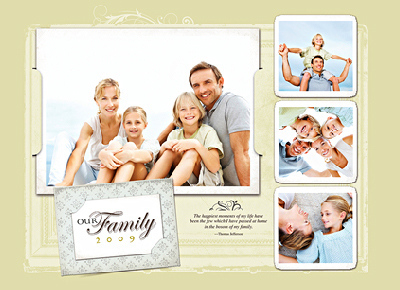 Premium Photo Books - Custom Designed by Jodi - Choose from three book sizes: 8 x 8" (Starting at $120) 11 x 8.5" (Starting at $140) 14 x 11" (Starting at $220) - Jodi personally designs each page of your book with custom photo layouts, decorative embellishments, text and backgrounds - Personalized Covers: Pick a photo of your choice - or - a classic binding in 8 Premium finishes Nuba Leather Padded Leather Silk Spine Full Silk Two-tone Velvet Nubuck Leather - Jodi's professionally designed photo books start with 20 pages, but can include up to 250 pages printed in gloss on heavyweight, acid-free, archival paper (additional pages start at $2 per page) - Premium photo books are individually hand-crafted and made-to-order. Printed in a high-quality, professional photo lab.Contact Jodi for more information on turning your Gallery into a priceless book of memories that will last a lifetime! 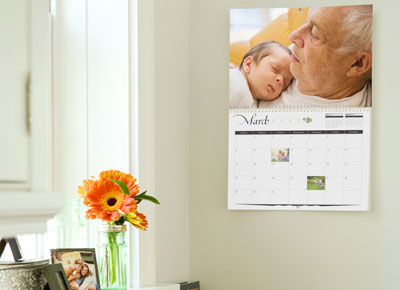 Make each day count with a Custom Calendar Celebrate every month with smiling photos of fun times, big events and great moments. Jodi will mix and match design elements, backgrounds, and add embellishments to create a new family favorite or great gift! Calendars include: - Customized pages filled with your photos, special dates highlighted with your photos and event descriptions - You can start your 12-month calendar with any month, and start weeks on Sunday or Monday - All Custom Calendars feature durable, heavyweight cardstock and wire binding. Each calendar page is 11" x 8.5" and open to 11 x 17". 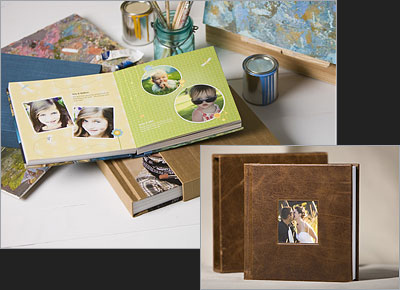 - Premium photo books are individually hand-crafted and made-to-order. Printed in a high-quality, professional photo lab. Contact Jodi for more information on turning your Gallery into a priceless book of memories that will last a lifetime!